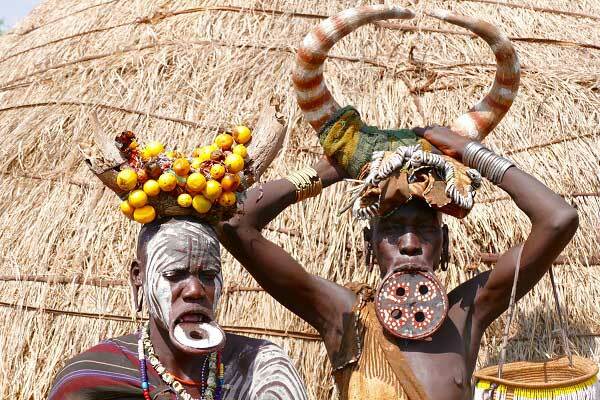 This tour is ideal for travellers who want to explore within short time Ethiopia’s South with its fantastic landscapes and unique tribes of the Omo Valley. 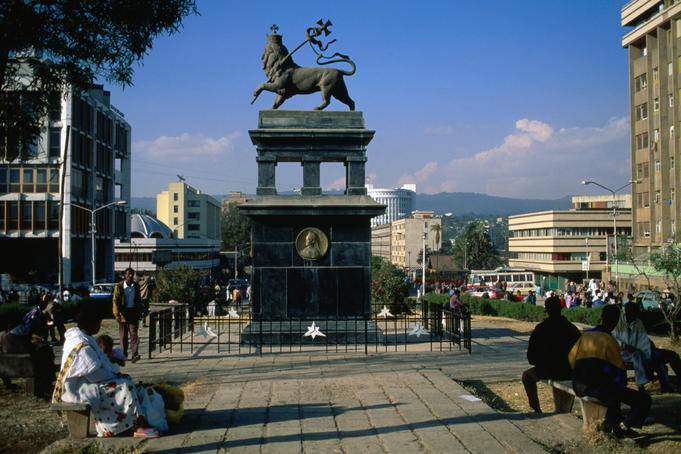 This tour can be perfectly combined with one of our other short Ethiopia tours or with a beach holiday in Zanzibar or the Seychelles. After breakfast, we drive to Arba Minch (approx. 7hrs. 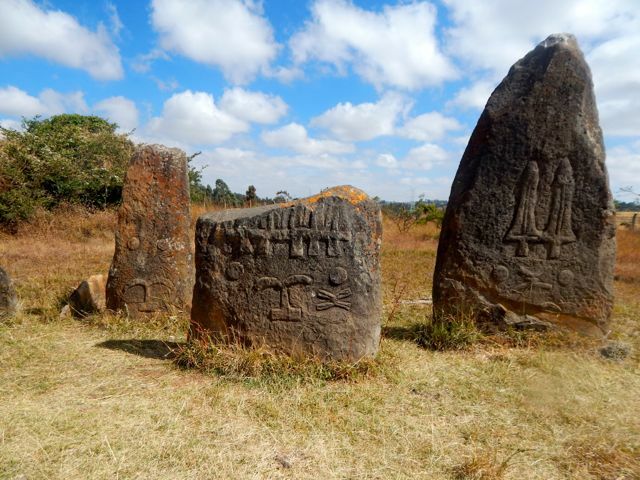 ), with a stop on the way at Tiya (80km from Addis Ababa) to explore the Stelae field of Tiya, listed as UNESCO world heritage site. Mysterious engraved stelae stretch across Southern Ethiopia. The field comprises some 45 stones of up to 2-3m in height. We then continue to Arba Minch with some fantastic scenery, including the best spot to view the two rift valley lakes, Lake Abaya to the north and Lake Chamo to the South. We will arrive at the lodge in the late afternoon.and you may relax at the lodge with stunning views from the terrace. After breakfast, we will visit Dorze people with some fantastic scenery, including the Wolayta farmlands, with views of the lush green hills and valleys. The Dorze village is found high in the Guge Mountains overlooking lake Abaya and lake Chamo. 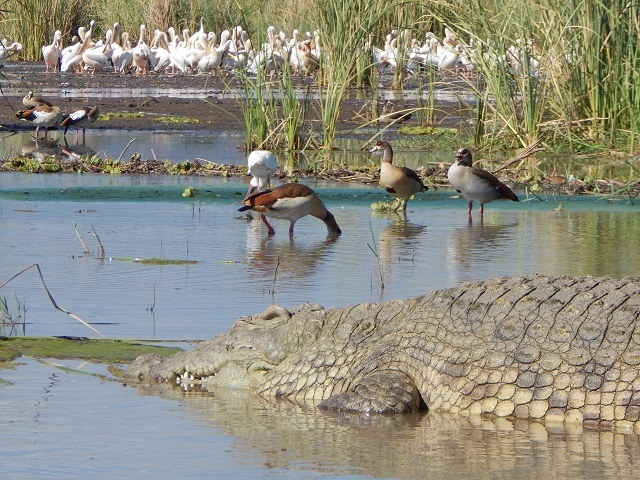 We undertake a boat cruise on lake Chamo and search for Africa’s biggest crocodiles (up to 6m long), hippos and a large variety of bird life. After breakfast, we drive to Konso approx. (travelling time 3.5 hrs.). Konso is another UNESCO Cultural Heritage site. We will visit the village compound and the the local museum, and usually we are also welcomed in the Konso chief’s compound, which includes the family graveyard and house mummies. The Konso people have a rich agrarian culture and construct ingenious terraces and walls that encircle their fields and villages for protection against livestock damage and flooding. 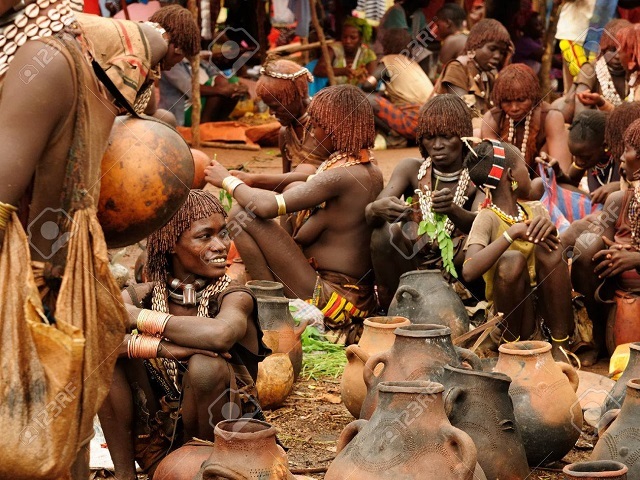 From Konso we continue our journey to the colourful market of Key Afer (Thursdays only) frequented by several tribes of the Omo valley, such as Derase, Tsemay, Benna and Ari, before reaching Jinka in the late afternoon. After lunch, we continue our trip to Turmi (approx. 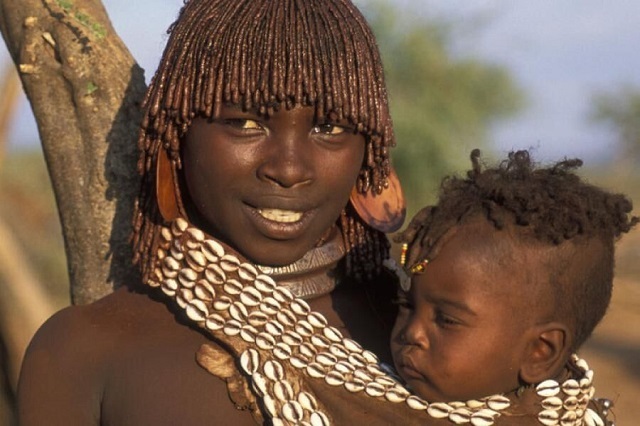 3 hrs), where we will meet the fascinating Hamer tribe. 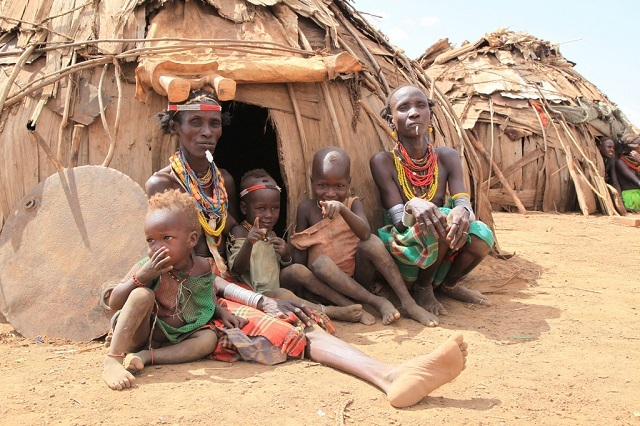 Turmi is our base to explore the Southern tribes of the Omo Valley. The whole region of the Southern Omo is UNESCO world heritage site since 1980. After breakfast, we visit the colourful market in Dimeka near Turmi (Saturdays only), frequented by several tribes of the Omo valley. Turmi is well known for its traditional events and with some luck we will even participate in a Hamer marriage ceremony, with its bull jumping ceremony and more! In the late afternoon, we will also visit a nearby Hamer village and encounter the tribe in its daily life surroundings. With some luck, we may even witness a moonshine dance (Evangadi), a traditional dance of young Hamer men and women. Today we take an excursion to visit the Dassanech Ethnic group (70 km, one way), famous for their nomad lifestyle and very interesting decoration and scarification on their bodies. There are also great views of the Omo river when crossing in a dugout canoe. After lunch, we drive back to Konso (approx. 3.5 hrs.). We will reach the well-kept Kanta Lodge in the late afternoon. We drive from Konso to Arba Minch (1 h).